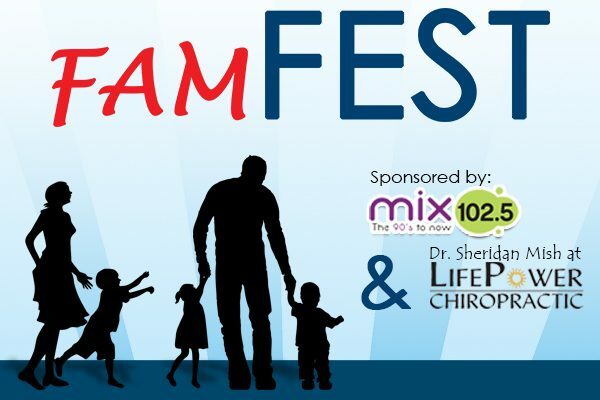 Sangertown Square invites you to join us for Fam Fest sponsored by Mix 102.5 and Dr. Sheridan Mish at Life Power Chiropractic! Fam Fest takes place throughout Sangertown Square on May 4th from 11am – 2pm. With a variety of businesses and organizations attending, families will be able to explore what the Mohawk Valley has to offer in one location. Parents can have Child IDs created for their kids by the Oneida County Sheriffs Department. Kids can learn about fire safety from the New Hartford Fire Department and walk through the smoke house trailer stationed in the parking lot outside of the Children’s Department at Boscov’s. Learn about products, services, and enter for a chance to win prizes! Eat, Shop, Learn, Play, & Explore Fam Fest!